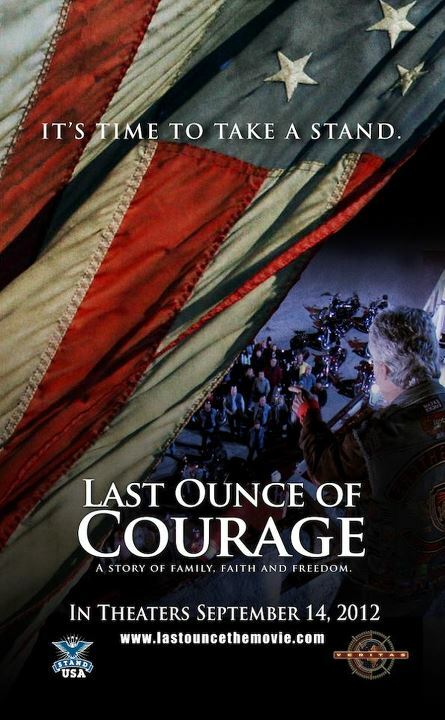 “Last Ounce of Courage” opened in movie theatres near you on Friday September 14th, 2012. The movie focuses on Family, Faith and Freedom. But, more importantly the actions of the producer have earned him a Catholic audience. Kevin McAfee Spoke at the “Rally for Religious Freedom” in Oklahoma City on June 23rd, 2012. He didn’t just speak, he made a generous financial contribution to the effort and is deeply concerned about the infringement on our Church. Though Kevin is not Catholic he was noticeably moved when a religious sister at the rally told him his movie’s debut date was the same as the Feast of the Exaltation of the Holy Cross. This entry was posted in Uncategorized and tagged Last Ounce of Courage movie, religious freedom. Bookmark the permalink.